Blackberry smartphones have a wealth of free applications available for them which can let you get more out of your device. In this article, we’ll take a look at some of the best free Blackberry applications you can download to your device to have more fun with it, and be more productive at the same time! Without wasting any time, let’s start it off! Here are 10 really cool free Blackberry applications. Pandora, reviewed in the past by MakeUseOf, has a great free Blackberry application which allows you to do almost everything you can do on the desktop version except right on your phone. You can create new stations, listen to already created ones, rate songs and more. 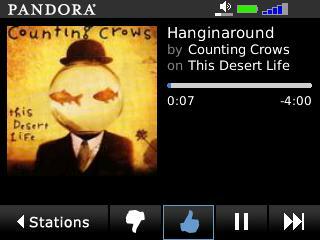 Download it from your Blackberry’s browser here: http://www.pandora.com. Can’t remember where you parked your car in that large parking lot? When you leave your car, open CarFinder’s simple menu and mark your location through your Blackberry’s GPS. 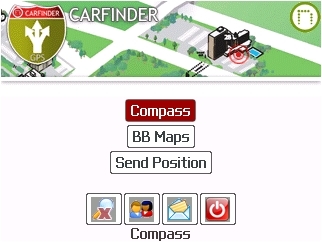 When you need to find your car (or another specific point) again, pull up CarFinder and it will guide you back via a compass or the Blackberry Maps application. 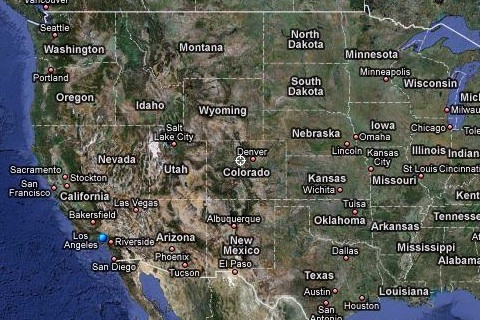 You can also send your marked location to a friend. Download it from your Blackberry’s browser here: http://www.neosistec.com/carfinder. As I’ve reviewed before on MakeUseOf, Qik, which allows you to stream live video from your phone to the internet for free, has a great mobile application for Blackberry. With it, you can stream video online from your device for anyone to see, or limit access with a password. 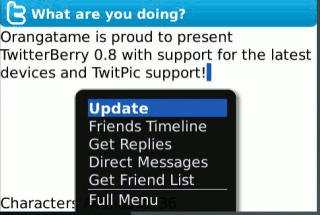 But as the service implies, your Blackberry must be a model with a camera for Qik to work. You can download Qik by going to their website on your Blackberry’s browser here: http://qik.com/m/dl/brands. Just like the popular online maps site, Google Maps offers a great Blackberry application which allows for most of the same features on their site, except again, its running on your phone. You can get directions, get maps in satellite view and watch traffic and see your location (which can work even if your Blackberry doesn’t have GPS, but works better if it does). View a real-time online demo of Google Maps Mobile here or download it from your Blackberry’s browser here: http://m.google.com/maps. If you like instant messaging, you’ll love Palringo. It is a mobile instant messaging client which supports AIM, ICQ, MSN, Yahoo, Google Talk and more, all in one piece of software. 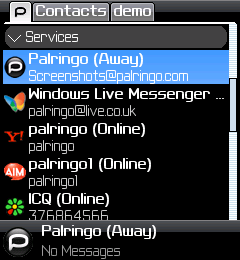 You can also chat with other users of Palringo (on a desktop, Android, iPhone/iPod Touch, Windows Mobile or Symbian phone) via text chat, voice or pictures. Palringo’s voice capabilities make it a great almost push-to-talk (PTT) software and a great piece of software to talk to your friends online or on their mobile phones due to its wide compability. Download Palringo from your Blackberry’s browser here: http://www.palringo.mobi. Through way of different “channels”, Boopsie lets you intelligently search for content or articles on sites like IMDB, Wikipedia, Amazon and more. 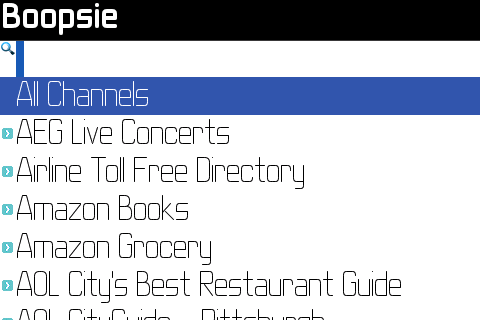 When you use the application, you can pull up your favorite channel and then search for content on it and live results will appear on your screen for the content you selected. You can view an online demo at their website, or you can download Boopsie from your Blackberry’s browser by going here: http://www.boopsie.com. 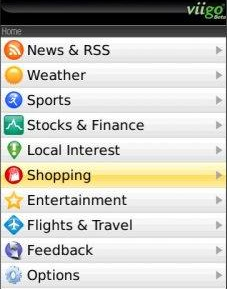 Viigo is a feature-rich application which lets you view news & RSS feeds, audio clips & podcasts, stocks & money data, weather and more. From the one application, you can do a lot of things and browse many blog RSS feeds, see sports scores, view local weather, and even read books. Viigo also bills their software as “the one app you’ll never want to be without” because of its wide range of features it makes available to you. 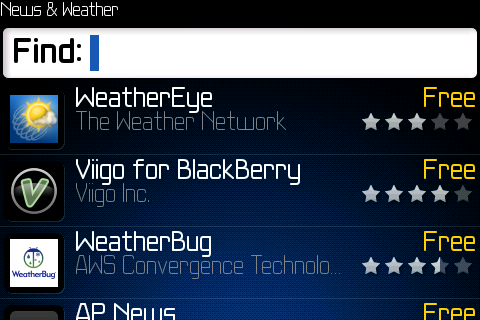 You can download Viigo from your Blackberry browser here: http://www.getviigo.com. We all know what Facebook is- the online utility which lets you share pictures, messages and online applications with friends. Well, now they have a handy Blackberry application which lets you do almost anything you can do on their desktop site, on your Blackberry. A really neat feature of this app is their recent update which allows you to automatically link Facebook profile pictures of your friends with their contact entry in your Blackberry’s address book. 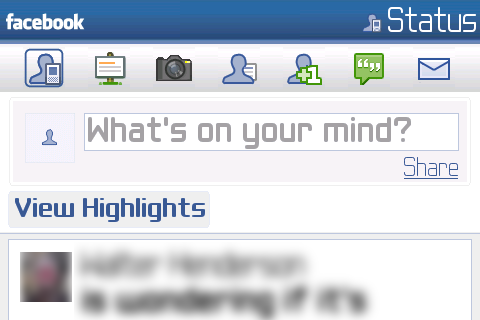 You can download Facebook for Blackberry on your Blackberry’s browser here: http://www.facebook.com/blackberry. If you use Twitter and have a Blackberry, then Twitterberry is for you. With it, you can send out Twitter updates quickly and easily as well as see your friends timeline, view replies to your Tweets and direct message your friends. Download Twitterberry here: http://orangatame.com/ota/twitterberry/. Almost all of these applications require an unlimited data plan from your Blackberry data/phone provider due to the amount of bandwidth they consume while in use. You may also read other MakeUseOf posts on Blackberry here. Do you have a favorite Blackberry App? Let us know in the comments, or share your experience with any of the ones posted here! MakeUseOf also has a mobile site where you can view this article and more at http://m.makeuseof.com.